This week's giveaway comes from Dazzling Expressions, an Etsy shop that aptly describes itself as "event decor and more." 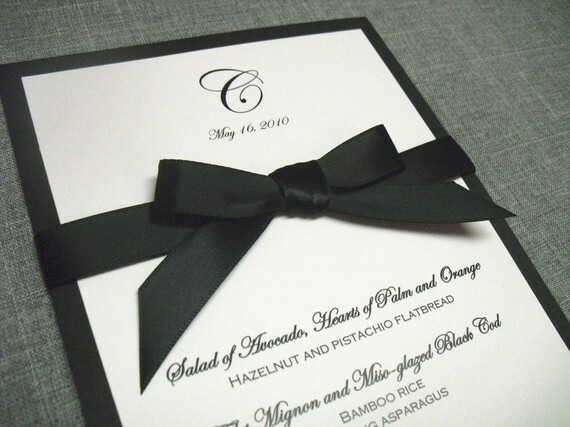 From wedding and party favors, table and place card holders and chalkboard signs to personalized menus and stationary, Dazzling Expressions is perfect for all of you party planners out there. 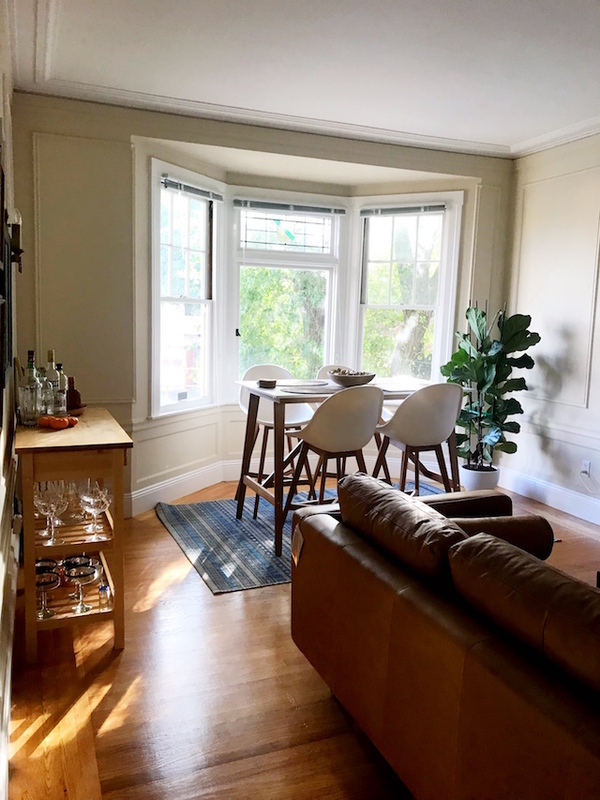 Christa, the shop's owner, is offering up a $25 gift card to one lucky reader. Doesn't it sound like fun to browse her shop and pick something out? To enter to win, visit Dazzling Expressions on Etsy (tell us what you'd pick out with your gift card! ), become a follower of The Short and the Sweet of It and leave a comment below. Extra entries for tweeting about the giveaway or mentioning it on Facebook. Good luck! Love the Mason Jars, you could use those for a variety of events and parties, so cute. I like the Martini Muslin Favor bags. Wow - they have so much stuff! My favorite is the Christmas Cookie Bags Favor Bags Candy Bags. So cute! These things are awesome! I would totally get the giant clothes pins table number holders! I love this shop! Thank you for introducing me to it! That wasn't easy...too many cute items. 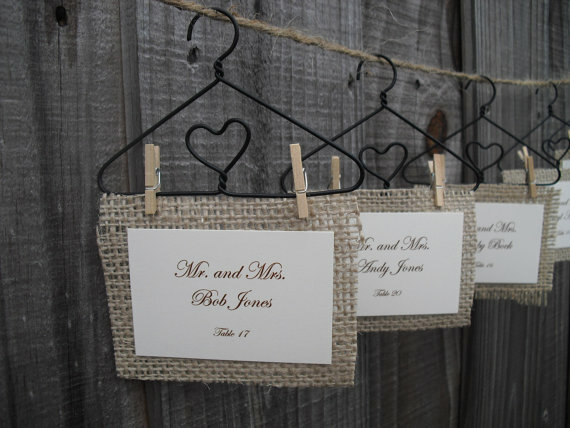 The rustic country wildflower wood favor gift tags are super cute! I like the 'SET OF 10 Vintage Chandelier Muslin Favor Bags Gift Bags or Candy Bags'. Lovely giveaway. P/S: I am hosting a fabulous giveaway as well. So, come by and enter for a chance to win a $50 Kirkland's gift card, if you like! I have received the adorable baby hat from Bachik! Thanks! I love the peacock card, it's so beautiful! Thanks for stopping by my blog, yours is great too! oh my gosh! they have too many cute things to choose from!! one thing i'd definitely get though is the seashell chalkboard..! i'd use it as a welcome sign at our door. I love the peacock card! Hands down, I would choose the Set of 3 Wooden Candle Holders (and I better hurry because there is only 1 available ;) What a great Etsy store! 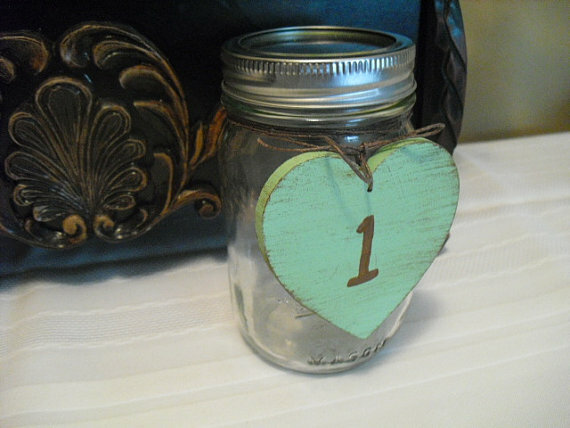 those mason jar table numbers are just so incredible! i wish i could do my wedding all over again. so many cute things out there! PS: I have been following The Short and Sweet of It for awhile now, love it! 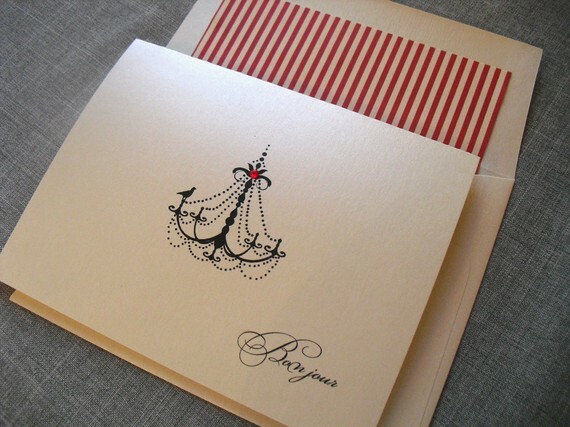 Love the Bonjour cards with the red-striped-lined envelopes---very chic! i like the shabby chic rustic chalkboards, so cute!! i'm already a follower!! This is so twee and pretty I love it! Gained a follower in me! 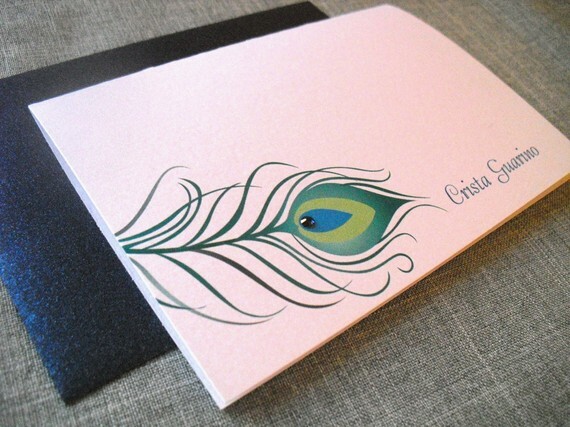 I've been really wanting to get some personalized stationary to send out fun cards. The peacock cards are amazing! Also love the distressed wood candle holders. So much cute stuff! there are just so many cute things! but i am loving that wooden basket! and all the chalk boards! I love the mini chalkboard nameplates! of course im a follower!! OMGoodness! First of all I love everything in this shop, especially the nautical items (since my wedding is nautical themed). I would love love love to win the Cherry Pine Nautcial Wooden Place Card Holders and the Sailboat Nautical Beach Muslin Favor Bags Gift Bags or Candy Bags!!! So many cute things in the shop! I'm a follower of your blog, thanks for the great giveaway! I would love the rustic heart clips! new GFC follower Michele P. I like the ONE LARGE Vintage Glam Damask Chalkboards with EASEL. I would get her "Large Rustic Wood Basket with Chalkboard Heart". You can NEVER have too much storage!